Multi-directional Transport Dollies and Steerable Shifting Skates which are easy to use. Fitted with non marking polyurethane wheels and suitable for 2 tonne and 4 tonne loads. 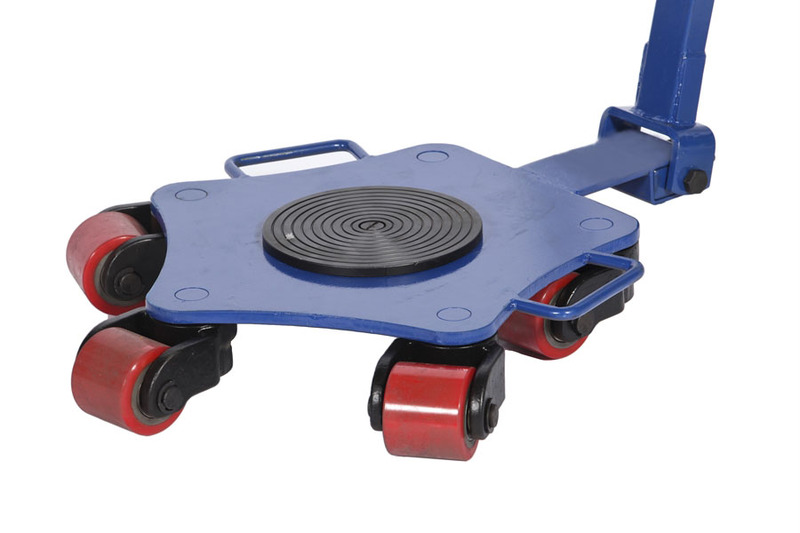 Machinery moving Dollies/ Skates are built of heavy welded construction and have thick top plates that are fitted with turntables for those heavy moving jobs that require ease of movement. Move loads sideways and around corners with these 360 degrees rotating industrial machinery skates. An optional steering/pulling handle is also available. Available in traffic light red epoxy paint finish.